As part of their Middle School experience, students explore a range of subjects to ensure they have the experience necessary to make appropriate elective choices for their senior schooling. Alongside their core academic subjects, students in Years 7 and 8 participate in a Thinking Skills program. This program helps to develop the individual’s critical, logical thinking and reasoning and provides the students with a range of skills that support their academic studies. 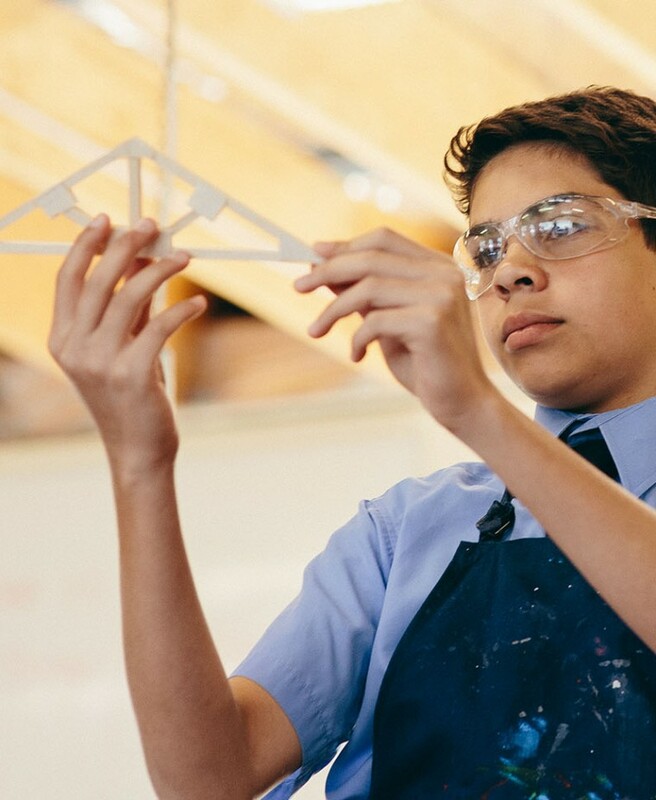 The Middle School program provides students with a solid grounding in the subject areas offered, allowing them to make informed judgements as they choose their first elective at the end of Year 9 and then choose six elective subjects to study in Year 10 in addition to the core subjects. Students, in conjunction with their parents, are carefully guided through the process of making elective choices by teaching and pastoral care staff. Our Education Support Team supports those that need a little extra help or those that may require extension. A unique element of our Middle School program is the Ubuntu program, which takes place in Year 9. As a joint Christian Studies and Health and Physical Education program, students participate in a journey through a yearlong program of activities including drumming, Rock and Water, Cooking for Life and their extended Mt Binga experience, all aimed at enhancing social, emotional and spiritual development. The Ubuntu journey encourages students to develop vital skills such as resilience, cooperation, self confidence and self awareness which prepare them for the challenges of senior schooling.